Sri Lankan’s Government has confirmed 12 would-be migrants sent back to Colombo by Australia last week are currently in the hands of its Criminal Investigation Department (CID). The country’s Immigration and Emigration Department told the ABC the group Australia sent back last week are all members of the majority Sinhalese ethnicity, and insists they are all being treated properly. 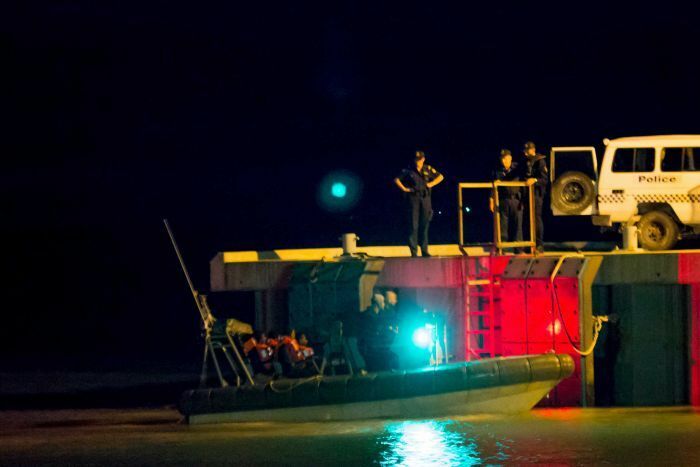 Yesterday Immigration Minister Peter Dutton confirmed recent reports that a boat carrying 12 Sri Lankans had reached the Cocos Islands in the Indian Ocean, north-west of the Australian mainland. Mr Dutton also said the Government’s assertion it has stopped the boats remained accurate, becausethe dozen on board were sent back to Colombo last week. “We were able to successfully return those 12 people, which included men women and children, back safely to Sri Lanka on the sixth of May,” he said. Now, Sri Lanka’s Immigration Department has confirmed its officers have given the group over to the country’s Criminal Investigation Department. Immigration Department spokesman Lakshma Zoysa said the group was being investigated to determine “how they went from Sri Lanka”. “They are involved in criminal activities, yeah, that’s an immigration crime,” he said. The group is also being questioned he said, to try and glean information about who organised the trip. Mr Zoysa said he does not know where the group is currently. Asked if they were being detained, he replied “maybe”. However, he said that the returnees were being treated properly. “We are not torture them, our CID officers … handle them [in a] legal manner,” Mr Zoysa said. Sri Lanka’s security agencies stand accused of ongoing torture and mistreatment. Over the weekend, the UN’s rapporteur on torture, Juan Mendez, wound up a visit to Sri Lanka concluding that its police lacked accountability. Mr Mendez said it was essential that the country “establish mechanism for real judicial and prosecutorial control over police investigations”. Mr Zoysa said the men, women and children who had been returned by Australia were all ethnic Sinhalese, not members of the Tamil minority with whom the Sri Lankan Government fought a bloody civil war lasting 26 years. “They’re all Sinhalese people,” Mr Zoysa said. Dr Jehan Perera, executive director of the National Peace Council for Sri Lanka, said being Sinhalese meant it was less likely the group would have been found to be genuine refugees. “If they were Sinhalese people trying to get to Australia then I would say that they were primarily going for economic reasons,” Dr Perera said. But Dr Perera said regardless of the group’s motivation, their ethnicity was no guarantee they would not face abuse by authorities having been sent back to Sri Lanka. “I don’t think that the use of torture is limited to Tamils,” he said. Has Australia has breached obligations? Asked if Australia could have been confident it was not returning the group to potential harm, the Sri Lankan National Peace Council’s executive director, Dr Perera, simply said “no”. Another Sri Lankan human rights activist, Ruki Fernando, said it was “likely” that Australia had not met legal obligations by returning the group. “Given that torture is widespread in Sri Lanka, it’s likely that Australia may be in breach of international obligations,” he said. The ABC contacted the Immigration Minister’s office for comment, but received no response before deadline. 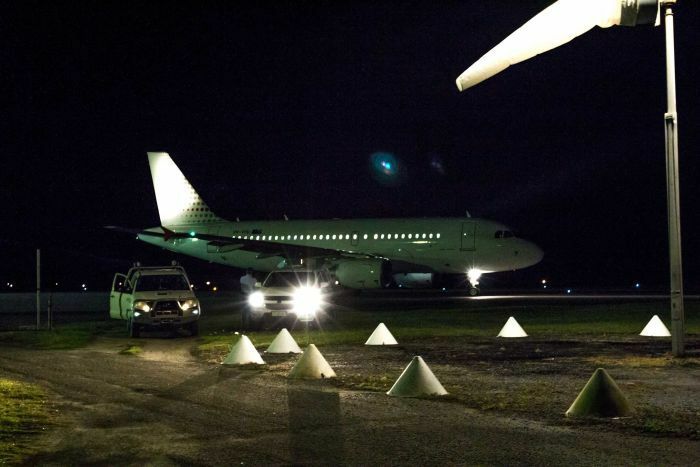 The Government has confirmed 12 would-be migrants sent back to Colombo by Australia last week are currently in the hands of its Criminal Investigation Department (CID), ABC news Australia reported. Mr Dutton also said the Government’s assertion it has stopped the boats remained accurate, because the dozen on board were sent back to Colombo last week.